At Oculus Connect 5, CEO Mark Zuckerberg introduced Oculus Quest. 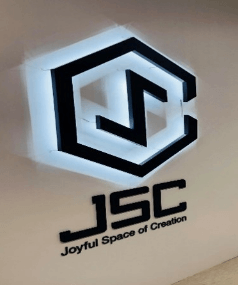 It is their first all-in-one VR gaming system. Oculus Quest is intended to be released in the Spring of 2019 for $399 USD (presuming it receives authorization from the Federal Communications Commission). Oculus Quest has a 64GB headset. Offering six degrees of freedom and Touch controllers, Oculus Quest makes it easy to jump right into the action – with no PC, no wires, and no external sensors. We have over 50 titles lined up for launch, with even more in the works including some of your favorite Rift games like Robo Recall, The Climb, and Moss. Oculus Quest will ship with Touch, their intuitive controllers. Bundling them means that everything developers have learned about game design for Rift applies to Oculus Quest. 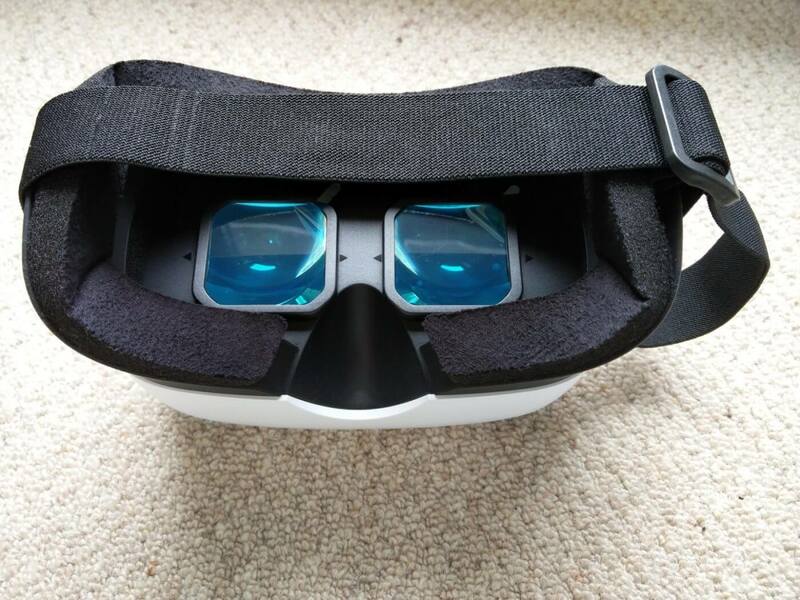 This gives users the best VR gaming has to offer. Oculus Insight was also unveiled. It is breakthrough technology that powers inside-out tracking, Guardian, and Touch controller tracking. In short, it tracks your exact position in real time without any external sensors. Guardian is “to help keep you safer while in VR”. Overall, I think this is interesting. The ability to use Oculus Quest without having to connect it to a PC makes it easier for people to get into, especially those who are currently playing video games on consoles (and who don’t want to game on a PC). As someone who has spent several years working in retail environments, I know how boring and tedious training can be. Nobody wants to sit through videos, with awkward actors, who resolve customer service situations in ways that would never work in real life. Walmart might have found a way to make training less terrible for employees. 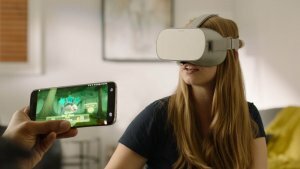 Walmart is providing Oculus Go virtual reality headsets to all of its stores in the United States. The headsets are part of a VR-based employee training program. 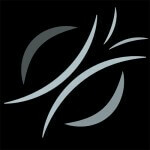 Employees will use the headsets to access 45 activity-based modules created by STRIVR. Walmart will send four headsets to every Walmart supercenter and two to every Neighborhood Market and discount store. More than 17,000 Oculus Go headsets will be in stores by the end of 2018. The information on Walmart’s website states that every associate – including those on the floor who interact with customers the most – will have access to the same training that their managers and department managers do at the Academies. One good thing about using a VR-based training is that employees can make mistakes in a virtual environment. I think that would be much less intimidating than having to make mistakes on the sales floor, with irate customers, while all of your coworkers watch you struggle. Training videos make employees passively absorb information in a way that doesn’t match what happens on the sales floor. The Oculus Go VR activities are interactive, and can be done over and over again. That’s a much more interesting way to learn new skills and to perfect them. OnePlus is launching the next model in its wildly successful line of smartphones on 14 June and its going to do the launch in VR, basing the event on an orbiting spacestation called The Loop. 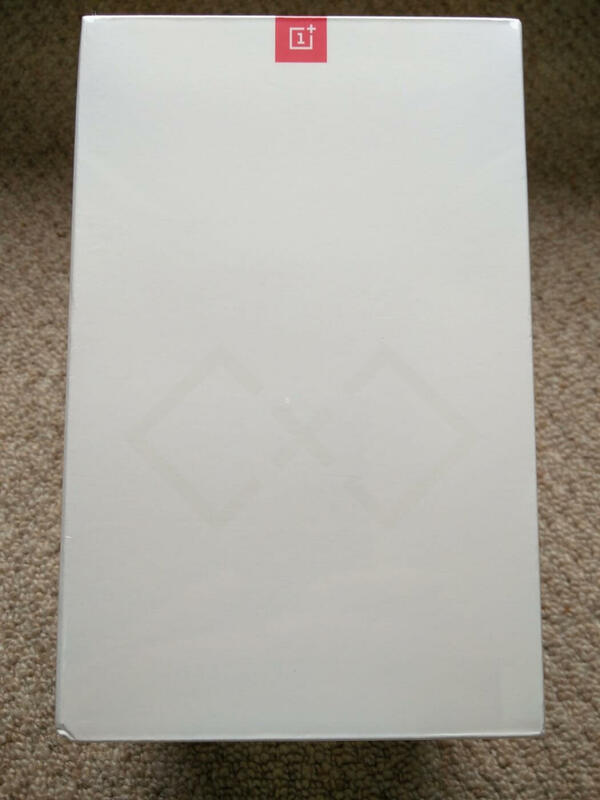 Although the fourth phone from the Chinese outfit, it’s going to be the OnePlus 3 following on from the 1, 2 and X. I’ve personally bought the 1 and 2 after falling out with the Nexus 5. 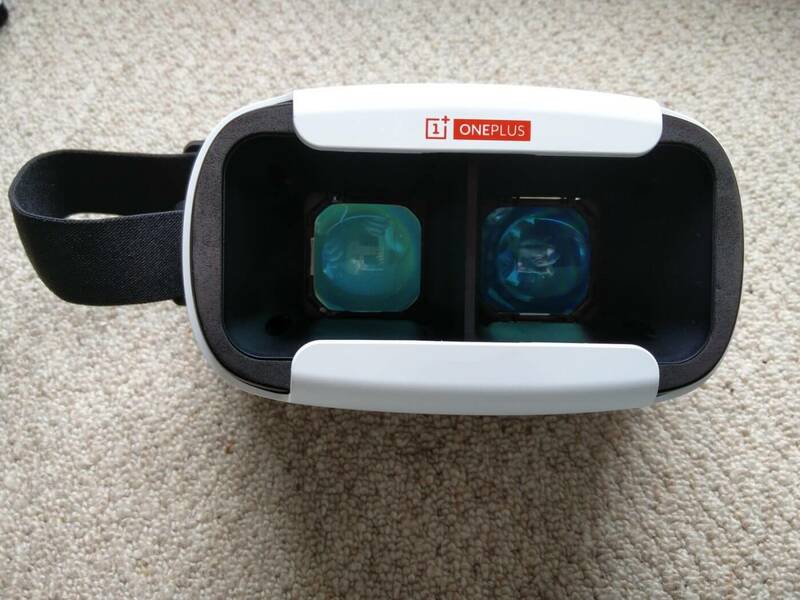 To support the VR launch of the 3, OnePlus gave away 30,000 Loop VR headsets with purchasers paying only for the postage. Of course there was a massive rush, but I managed to snag one and it arrived today. 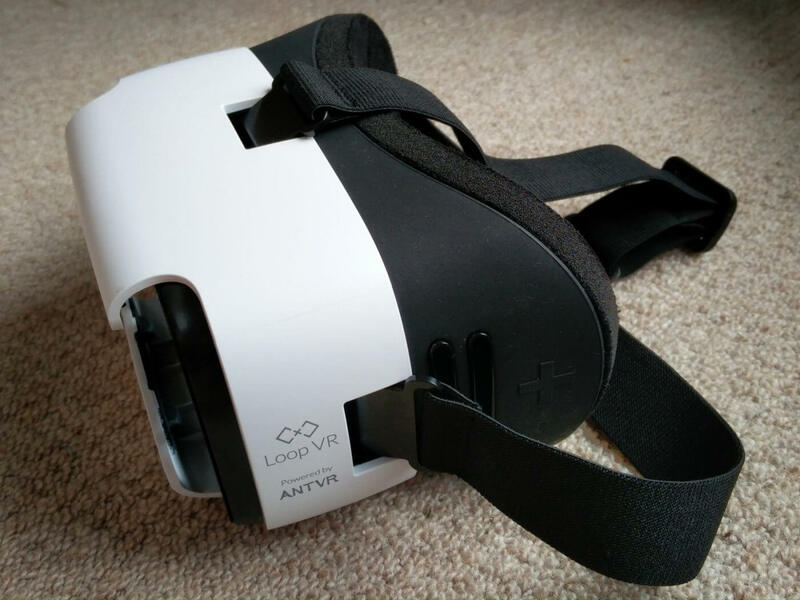 It’s been developed in partnership with AntVR, who launched a VR system through Kickstarter in later 2014. 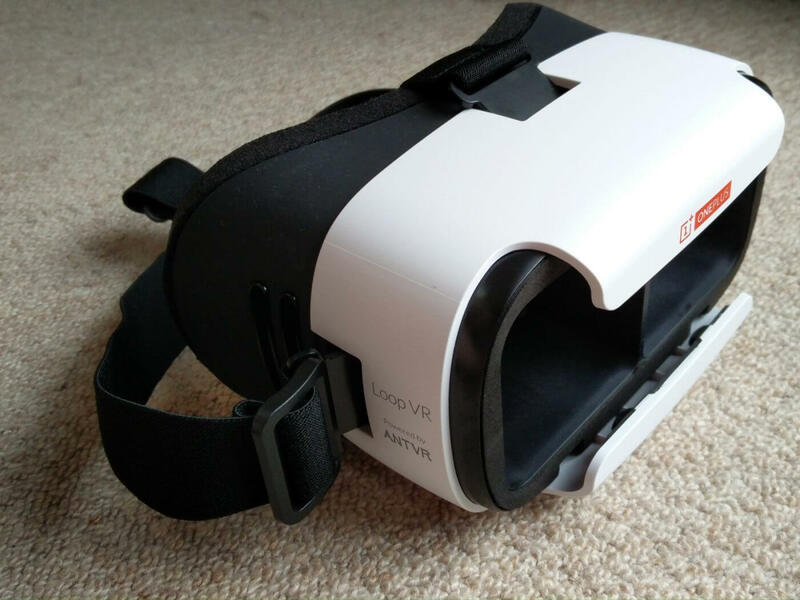 I don’t have much experience with VR headsets but build quality is on the solid plastic side of things. The elastic headbands are adjustable and the lenses can be adjusted to three positions. I wouldn’t exactly say that it’s comfortable to wear but it’s probably what you’d expect from lump of plastic strapped to your face. The smartphone slides in the front for the screen….and this is where it all came to a stop. How are you supposed to control the smartphone when it’s in headset? You can’t tap on anything as the phone’s on your head. Do you need a Bluetooth mouse or similar? 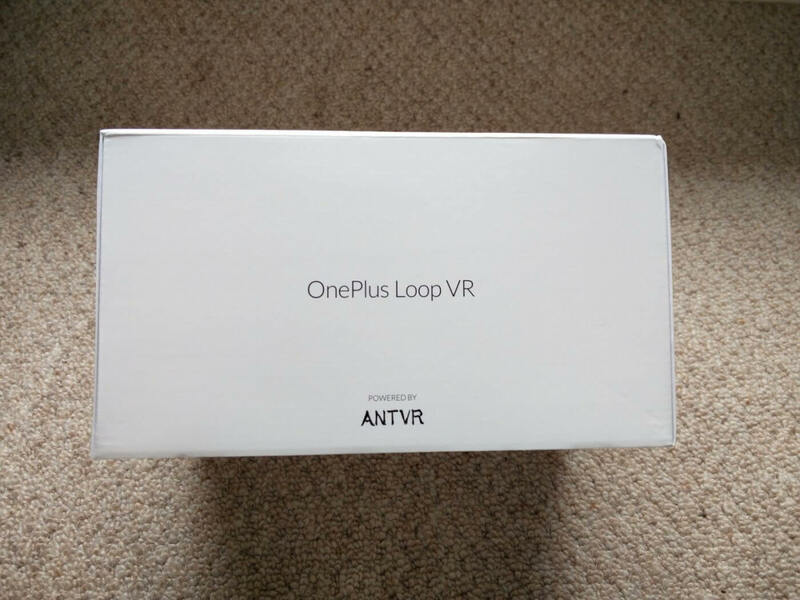 The links to an AntVR app don’t seem to work and the OnePlus Loop VR is counting down to 14 June. I kind of assumed that Google Cardboard apps would work as common denominator on Android but no, that doesn’t seem to work either – I can’t seem to select any menu options. Massively disappointed. All very much reminds me of 3D TVs…. 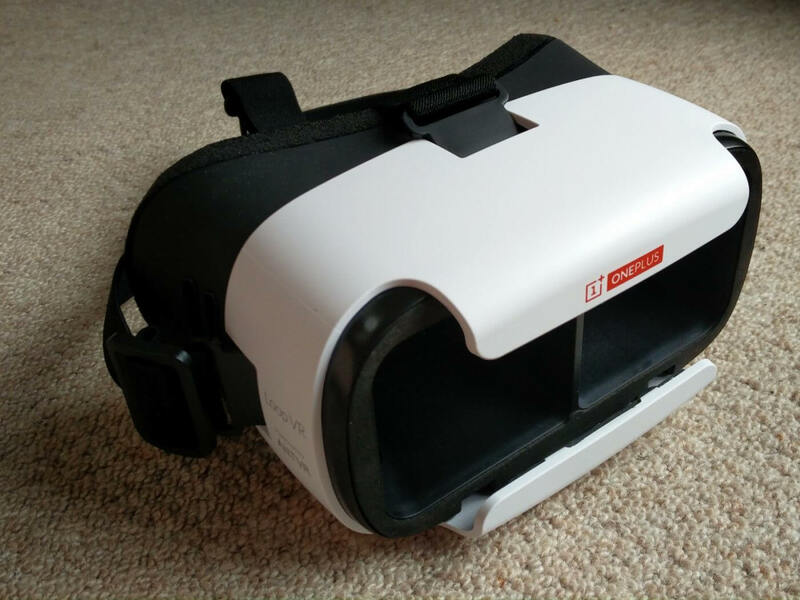 I hope things improve once the OnePlus Loop VR app comes to life on 14 June but if any GNC readers want to educate me on the ways of VR headsets, please fill me in through the comments. AR and VR are lining up to be the next big thing and the headset space is filling out with plenty of competitors from Oculus Rift to Google Cardboard. 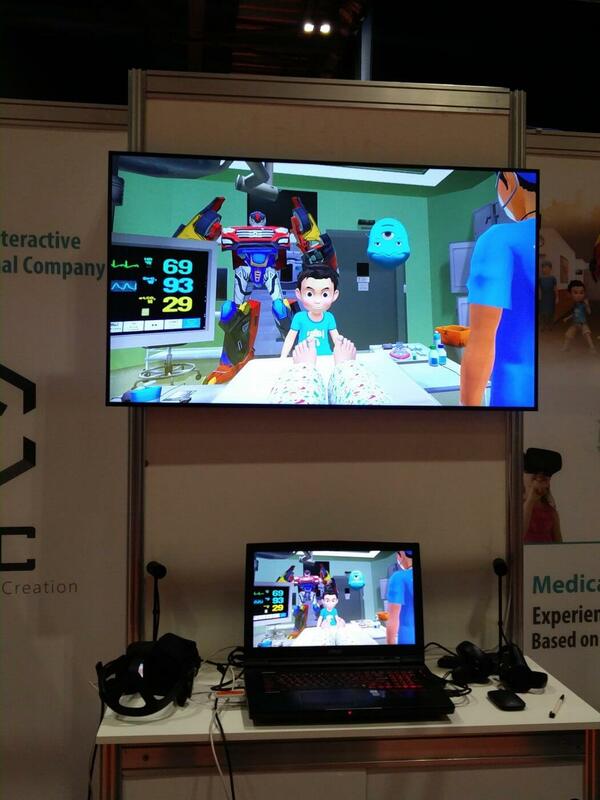 Less obvious in the space are the motion controllers and other gadgets helping to make VR an immersive experience. Into this category falls the VRGO Chair, a hands-free motion controller that takes advantage of what we humans often do all too well – sitting down. Joe from VRGO gave me a demo of the VRGO Chair. 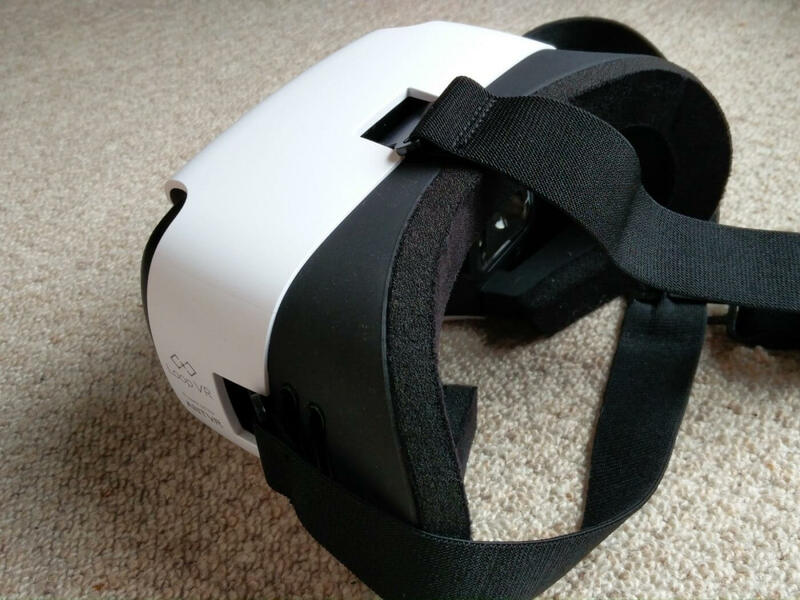 Originally a Kickstarter campaign, the VRGO was successfully funded back in December 2015, and won the second prize in the British Inventors’ Project at Gadget Show Live. 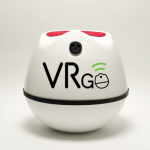 Looking not too dissimilar to a flat-topped Weeble, the idea is that the VR player sits on the VRGO and controls their movement in the VR world by tilting or rotating the VRGO. 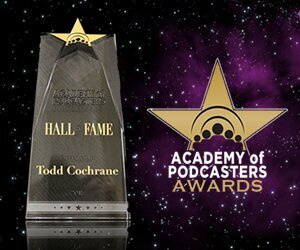 It’s pretty cool and totally intuitive after only a few seconds. 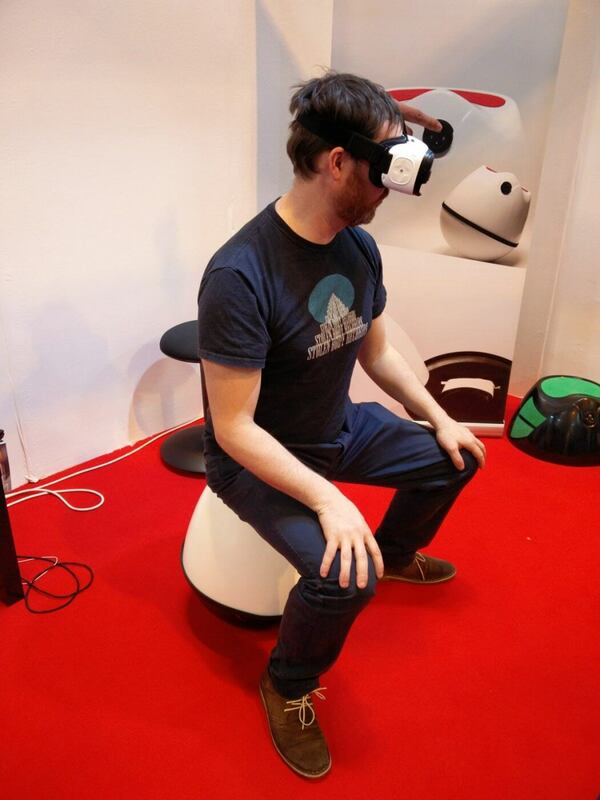 The VRGO chair uses low latency Bluetooth to communicate with VR headsets, PCs, tablets and smartphones. The VRGO can mimic both analogue (joypad) and digital (keyboard) controllers, and simplistically the further you tilt, the faster you move. Sitting on the chair leaves the player’s hands free for other controllers. 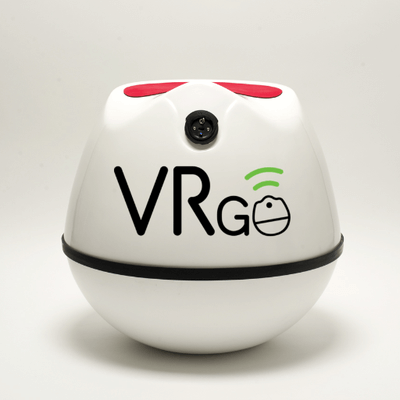 The VRGO will be delivered to Kickstarter backers within the next month or so before going on sale at around GB£250. A lower cost version is in the works, aiming for a price of about £100. French startup Diota have been working since 2009 to bring augmented reality (AR) to industry and manufacturing. This isn’t easy as the factory floor is no place for fancy headsets or delicate glasses. Andrew hears more from Sebastian, Diota’s Head of R&D. Diota have a range of AR products, but the one on show here uses a projective system to highlight work that needs done. Imagine that a fitter is working on the inside of an aircraft fuselage and that a series of steps needs to be followed exactly. Perhaps one set of bolts needs to go in before another and the order of insertion is crucial to the assembly. 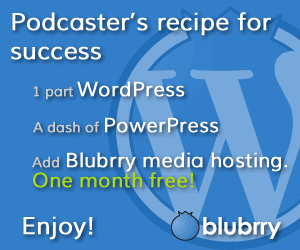 DiotaPlayer and its projective system is ideal for this problem. 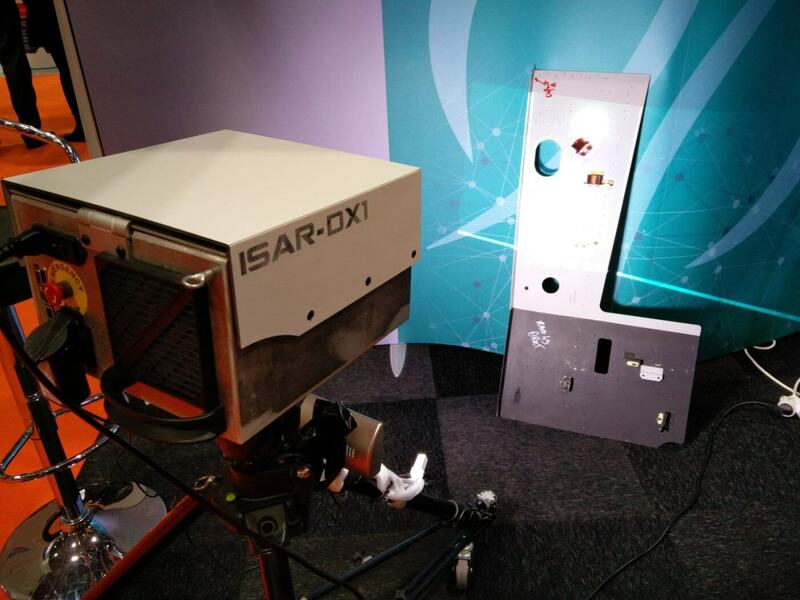 Using the camera built into the system, the DiotaPlayer is able to identify the part of the fuselage in view, then project onto the surface clearly showing what areas need to be worked on first by the fitter. 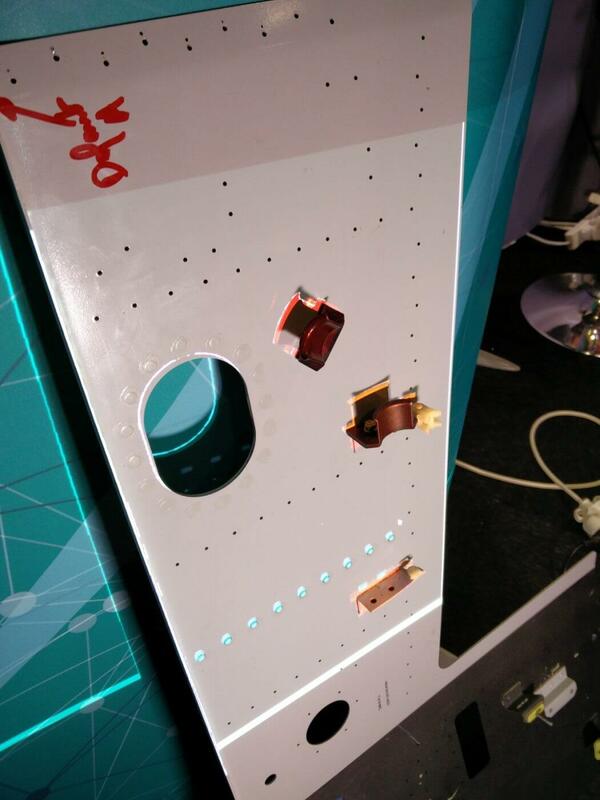 The projection shows the first set of the holes, highlighting them (in this instance) in blue-green, so the fitter can work on these and ignore all the other holes in the panel. Diota have an impressive list of French industrial clients, including Renault, Dassault and SNCF. Price on application. You might not know Randal Kleiser’s name, but you’ve almost certainly seen one of his films – he directed Grease with John Travolta and Olivia Newton-John. 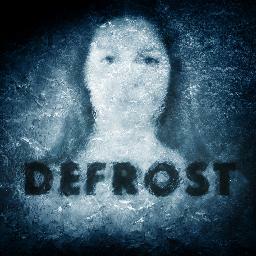 His new production is called Defrost and will be debuting at Sundance. 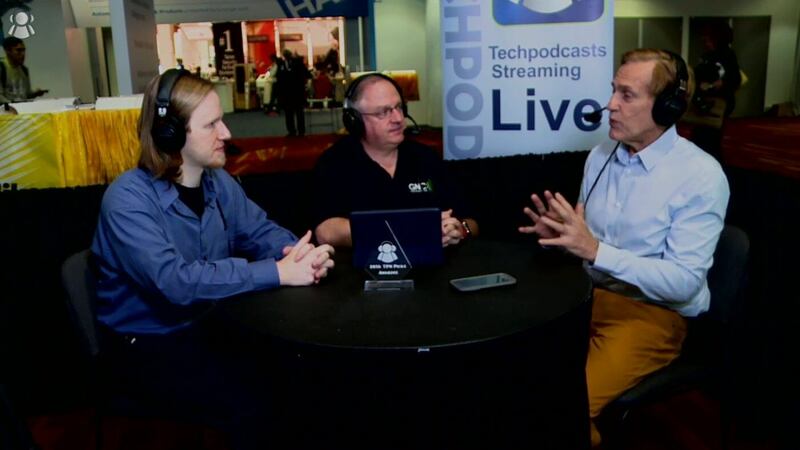 This is the most significant interview I’ve seen at CES in 2016. Up to this point, I’ve always considered VR to be ‘super 3D’, but when I listened to Randal Kleiser with the authority he brings as a screenwriter, director and producer, I realised that we were seeing the development of a new art form; part cinema, part theatre. Undoubtedly there are challenging technical problems to be overcome, and a good story is still key, but this is a new way to immerse ourselves in the story like never before. Watch the interview and let me know in the comments if you feel the same way.